When you walk through Gate 777, you’ll be flying First Class. With its airport-themed interface, Gate 777 treats everyone as a VIP. There are cartoon-style characters along the way, to entertain and guide you. The site is easy to navigate with clear menus and instructions, so there should be no confusion about what is available and how to play. Of course, at the end of the day, Gate 777 is a casino and is there primarily for you to try your luck on the slots and at the table. The slick and amusingly themed player-interface promotes the idea of every visitor being a VIP. Therefore, you expect a top-notch experience, right? Well, you get exactly that. Behind the colourful welcome are over 800 games, ranging from the traditional to the contemporary. There really is something for everyone. Games are available from all the top developers, including 1×2 Gaming, Adoptit Publishing, Bla Bla Studios, Colossus Bets, Dtech Gaming, Evolution Gaming, Fortune Factory Studios, Inspired Gaming, Kalamba, Magic Dreams, Microgaming, NetEnt, PlaynGo, Quickspin, Red Tiger, Sigma Gaming, Thunderkick, Wild Streak, Yoloplay, and many more. So, you will be playing games that are possibly familiar to you, along with a whole load of new games that you may not have come across before. The casino’s presentation is clear and open, even before you sign up. You can browse the suite of games and see the promotions that are available, explained clearly and comprehensively, all without you having to commit to anything. The folks at Gate 777 Casino are so confident you’ll want to be a part of the journey they are happy to open the doors for you to come in have a browse around. 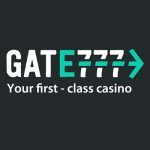 Like many of the top casinos, Gate 777 is available on all of the most popular platforms, including iOS and Android smartphones and tablets; laptops; and good-old-fashioned desktops. So, grab yourself some in-flight refreshments, get yourself comfortable and enjoy the flight. Make your first deposit and, not only do you get 100% of your deposit added to your account (up to £/€/$100 max), but you get a bonus 25 extra spins, getting you off to a flying start. By the way, the minimum deposit is £/€/$20. Daily Upgrade Bonus: By making a daily deposit (minimum £/€/$20), you get an upgrade every day. The daily upgrade offer is a surprise, which could be extra spins, offers and promotions related to bonus funds, and/or a combination of both. Well, you’re a VIP the minute you sign up, according to Gate 777 Casino, so what about any loyalty rewards? Loyalty points are earned every time you play. You will accrue more points as you play, enabling you to automatically move up through the five loyalty levels. As you move up through the levels, of Bronze, Silver, Gold, Diamond and Platinum, you will receive increased bonuses, superior benefits and extra perks. You will also have to maintain your loyalty level by continually earning points on a monthly basis. Your loyalty points can be redeemed for a bonus cash value, to be used in the casino. If you are wondering how you earn loyalty points, it varies. For every £/€/$10 you wager, you can earn up to 2 full loyalty points. Confused? You should be. However, here’s our concise overview of the points you can earn on various games. I guess the folks at Gate 777 are keen to direct us to certain places. If you’re wondering how much the loyalty points are worth, it’s quite straightforward. You can start redeeming your points when you have accumulated your first 1000 points. Every 200 loyalty points are worth £/€/$1. So, by redeeming your 1000 points, you will get £/€/$5 bonus money to play with at Gate 777 Casino. At any given time, your account balance will consist of two things – your cash balance and your bonus balance. The cash balance is of course yours and you can use it when and how you like. However, your bonus balance is subject to certain limitations. Any bonus you earn might be subject to being only available for selected games, such as slots. Yes, this seems complicated, but it really isn’t. Redemption rules are available on the Gate 777 site and viewable at any time. Bonus amounts credited to your bonus account are subject to thirty-five (35) times wagering requirements before they are converted to your cash balance and can be withdrawn (unless explicitly stated otherwise). It gets a little more complicated than that, but that’s the crux of it. More details, including some examples of typical calculations, are available on the Gate 777 Casino website. In the left-hand menu, you will see a “Deposit” button next to your account balance. This will enable you to choose your preferred deposit method, which includes Visa, Mastercard, Skrill, Neteller, Paysafe, SOFORT and SEPA Bank transfer. Withdrawing your money is again done by going to “My account” on the left-hand menu. As with making a deposit, you will be walked through a simple on-screen process. Minimum deposit and withdrawal limits are £/€/$20. There seems to be no maximum. Withdrawal of your winnings is subject to a number of identity verification checks, as you would expect, and takes on average 24 hours. Bear in mind, though, that you may have to submit proof of ID (see below). The casino offers a full and extensive range of online gambling experiences, including slots, table games, and even live games with real dealers. There are literally hundreds of slot games from the industry’s leading games developers, all available on desktop, laptop, tablet and smartphone. If you are a little more traditional and prefer to try your luck and skill at the tables, there are all the main ones to choose from, including roulette, baccarat and blackjack, amongst many others. Prefer the excitement of the live table? Do you want the look and feel of Vegas on your own screen, in your own home? Tired of playing against yourself? There are more than a dozen live gaming tables to choose from, with all the main games, and with real croupiers to move things along. Gate 777 is no different from any of the other main online casinos when it comes to mobile devices. You can play anywhere there is a reliable internet connection, be it at home, in the office, on the move, or in the bath! Gate 777 reassures us that they leverage the latest internet technology to ensure that your personal and payment information is thoroughly protected. The site is secured by the strongest SSL encryption and Gate 777 guarantees that nobody can eavesdrop on your activities or tamper with your account. Gate777 Casino is licensed and regulated in Great Britain by the UK licensing commission and also by the Malta Gaming Authority (EU License). 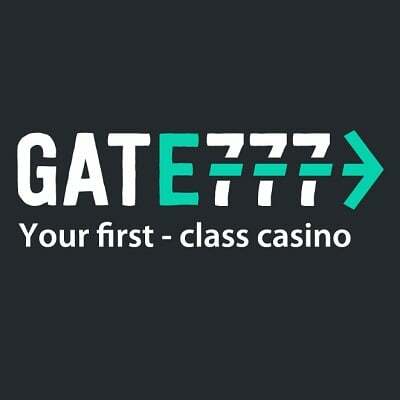 Gate777 is a brand managed by White Hat Gaming Limited, on behalf of Caddell Limited N.V., which is regulated by the UK Gambling Commission under license number 000-038720–319481-008 for customers in Great Britain. White Hat Gaming Limited is a company registered in accordance with Maltese Law, with the registration no. C73232 whose registered office is 85 St John Street, Valletta, VLT1165, Malta and is licensed and regulated by the Malta Gaming Authority for all other customers under license numbers: MGA/CL1/1303/2017; MGA/CL1/1304/2017; MGA/CL1/1305/2017; MGA/CL1/1372/2017 issued on the 28th August 2017. Gate 777 offers 24/7 customer support by email at [email protected] and by online live chat. Gate 777 Casino has a fabulous look and feel. Themed around air travel and, more specifically, your journey through an airport, with quirky, attractive and sometimes funny cartoon characters to brighten your journey. The range of games is staggering, with slots and table games to choose from – some of them live. If you want fun as well as excitement, with an easy to use interface, rewards for loyalty, and an extensive selection of games, let Gate 777 Casino take you on your journey.